Inspired by the therapeutic properties of natural local ingredients and age-old healing practices of the region, Spa Village Koh Samui respects the environment, culture and traditions to create holistic and rejuvenating spa programmes. Experience the Songkran Shower, our signature pre-spa ritual inspired by the annual Songkran festival involving the joyful throwing of water, as a prelude to selected spa treatments. The finest local ingredients are sourced and utilised for customised treatments and the health bar. Seek to restore balance to your mind, body and soul through uplifting traditional Thai healing practices that incorporates coconut, healing herbs, water therapy and fresh flowers. 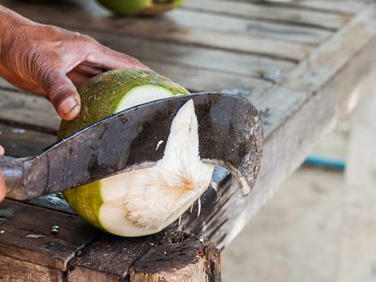 Coconuts are synonymous with Koh Samui, with a plethora of plantations and attractions across the island. At Spa Village, we enjoy sharing the heritage of the nutritional, health, and beauty benefits of this amazing fruit. 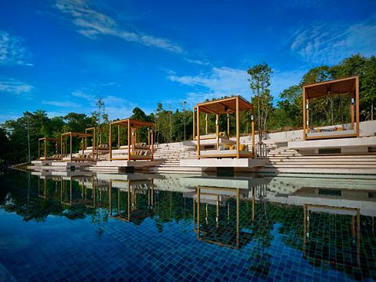 Deluxe Songkran Shower and a Coconut Scrub are followed by a 90-minute Coconut Flow Massage. Top it off like the locals do, with a nourishing Coconut Hair Masque. The magic of flowers has bloomed in the hearts of mankind from the beginning of time, their universal language instantly, wordlessly, communicating love, grace and joy. The vivid colours and euphoric fragrances of our island’s native flowers delight the spirit and play an intrinsic role both in beauty and ritual. Celebrating the vibrant power of Samui’s abundant gift, this treatment begins with a “table-side-mixing” of raw flowers, nourishing aloe and fruit enzymes to exfoliate the skin. Warmed flower infused compresses gently hydrate the skin in preparation for a flower balance massage utilising strong rhythmical strokes along energy meridians leaving you truly in a state of harmony. 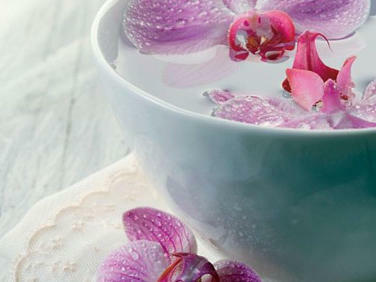 The treasured art of Thai massage marries poetically with the dance-like grace of aqua therapy. The Thai people have a saying, “Plod Ploy Pai Kab Say Nam”, which means “letting go with the water flow”. That beautifully expresses the experience of weightlessness in the water of our aqua therapy pool, as your body is moved dynamically through the water. The series of stretches softens the muscles, relieves stiff joints, and quiets the mind. An unsurpassed level of letting go and relaxation is evoked in this transformational experience.